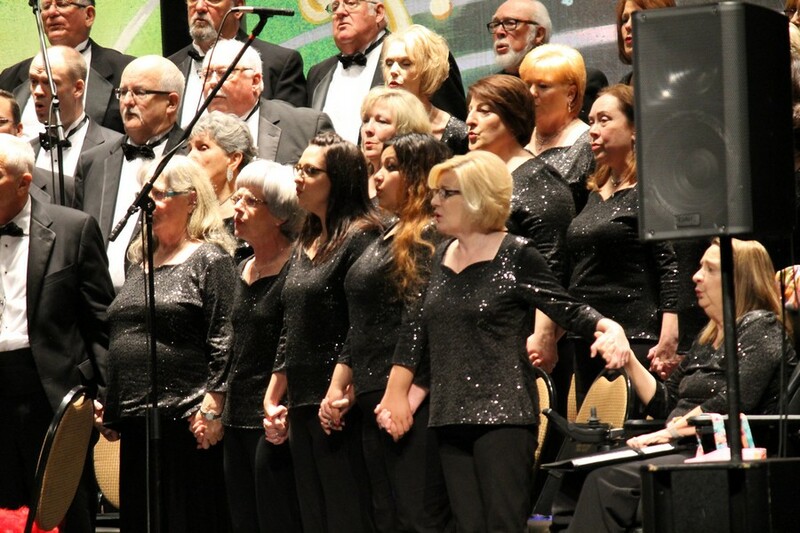 Every first weekend in December and May, the North East Texas Choral Society, which consists of over 100 volunteer singers, presents a seasonal concert for Hopkins County and the surrounding communities. Each performance requires set up and break down of multiple heavy 8’x 10′ platform risers plus chairs for the singers. Members work diligently before and after each concert to complete this laborious task. You can see from the pictures provided the difference between our current heavy and bulky risers compared to new seated risers made for a choir our size. The current heavy pine risers are over 20 years old and therefore, we need your monetary support to purchase new seated risers. The new risers will insure not only a more accommodating set up, but will provide a safe environment for singers. The $35,000 expense cannot be covered in our current annual budget due to rising production costs and maintenance of our charitable non-profit organization. Already, some donations have come in from the public, leaving a balance of about $10,000 still needed. If you would like to help, you can donate in a few different ways. Choral Society members can accept checks from friends in the community. Please make your check payable to the NETCS marked “Risers” in the memo. The Choral Society can accept donations through PayPal at [email protected] And you can mail a donation to NETCS, P.O. Box 66, Sulphur Springs, Texas 75483. We can be reached by email at netchoral.org. Click here to visit the fund raising site. There is an 8.1% fee associated with each donation, so we encourage straight donations with “Risers” noted on your check. As of November 7, 2018, funds are still about $10,000 short. Please help by donating to this worth-while project and help us with a successful campaign which will allow purchase of new risers for NETCS!